<< Candy Blue Varrosten ES2 IN STOCK! ISC Suspension Canadian Master Distributor! Looking for some new suspension? 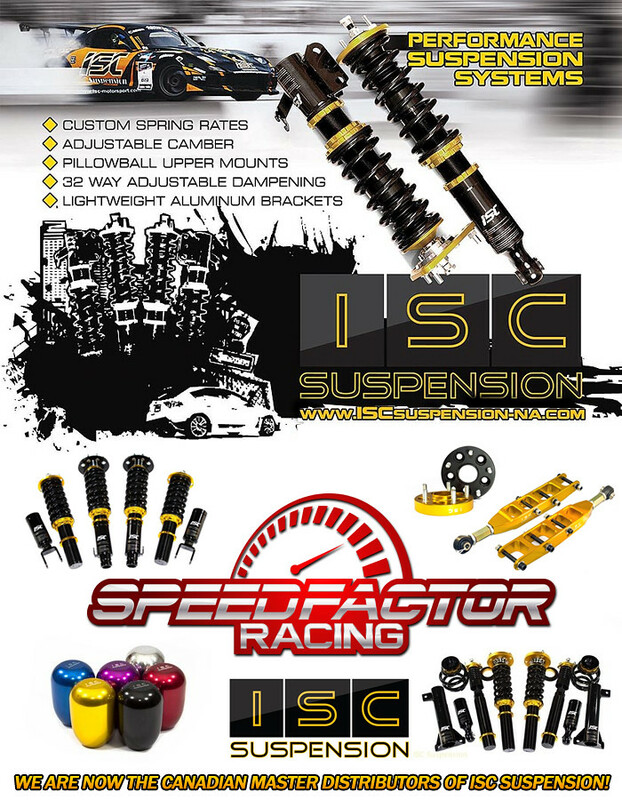 We are now the Canadian Master Distributors for all ISC Suspension Products & Accessories! ISC Suspension North America offers aftermarket suspension, drivetrain, and wheel accessories for BMW, Infiniti, Subaru, Nissan, Honda, Mazda, and all other Japanese and European vehicles. Our products are designed and supported right here in our New Hampshire Facility. Our products are produced with pride and with some of the best quality materials and production methods available in modern day manufacturing. We are happy to offer our customers with quality, functional and economical components for their vehicle no matter what driving demands they may have.